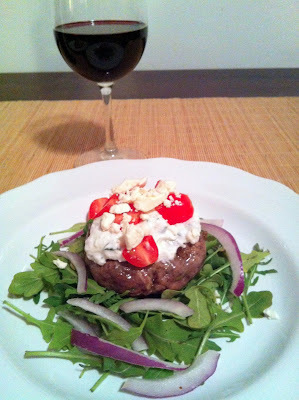 Lamb burgers feel like a perfect Saturday night meal to me. I don't think this makes me unique, but Saturdays are my favorite day of the week. By far. Mine usually involve a balanced combination of productivity and total relaxation, which is just how I prefer it. Today was no exception. Woke up around 8 am, which, for me, is late enough to feel like I'm sleeping in but early enough to feel like I can take advantage of the whole day. Had a cup of coffee and breakfast while I watched the Today show, then went for a quick run and did some yoga. 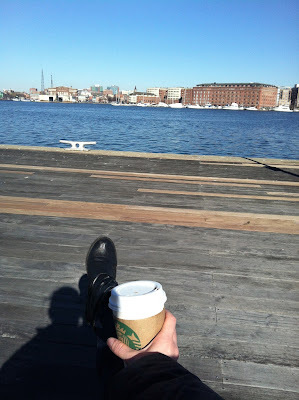 Walked to the grocery store and grabbed another coffee at Starbucks (I was passing by, soo...). Being able to walk to do my errands is one of my favorite things about living in the city. I mean, how fortunate am I to be able to stop for these views on my way to grab some groceries?! I love Baltimore. The afternoon involved lunch out with my love and some shopping/errands around town. Oh, and the weather was sunny and beautiful. Basically, it was pretty perfect. One of my favorite ways? As a burger. With feta cheese and homemade tzatziki. And a bottle of red. Ohhh yes. 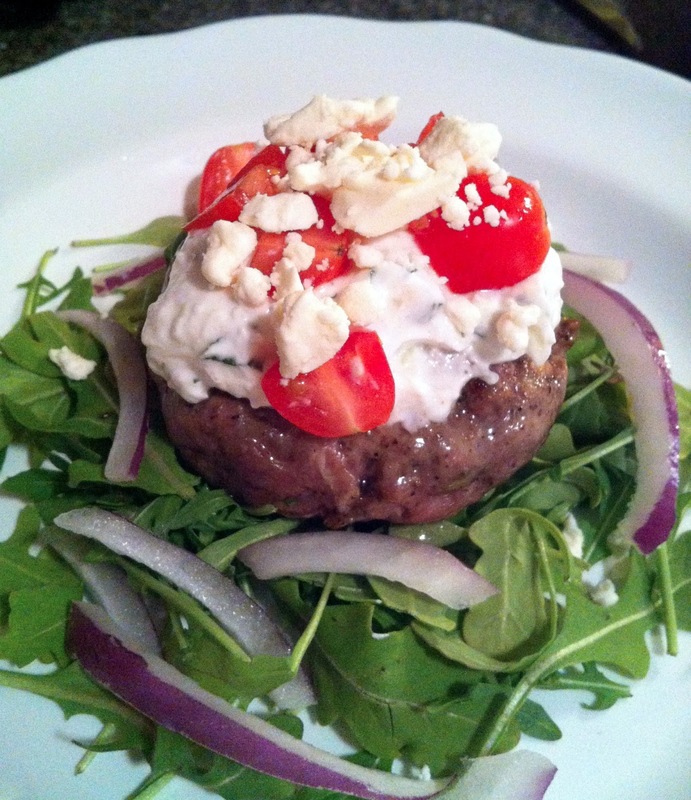 Homemade tzatziki is a crucial part of lamb burgers. You gotta do it. And it's easy! Just be sure you make time - it needs to be done the night before, or at least several hours in advance, because the flavors need plenty of time to marry. 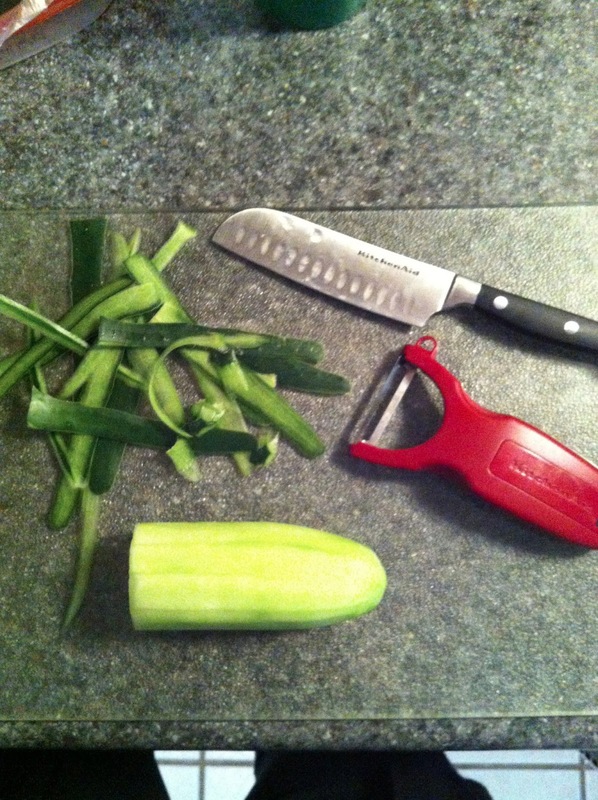 First, peel the skin off half of a large cucumber. 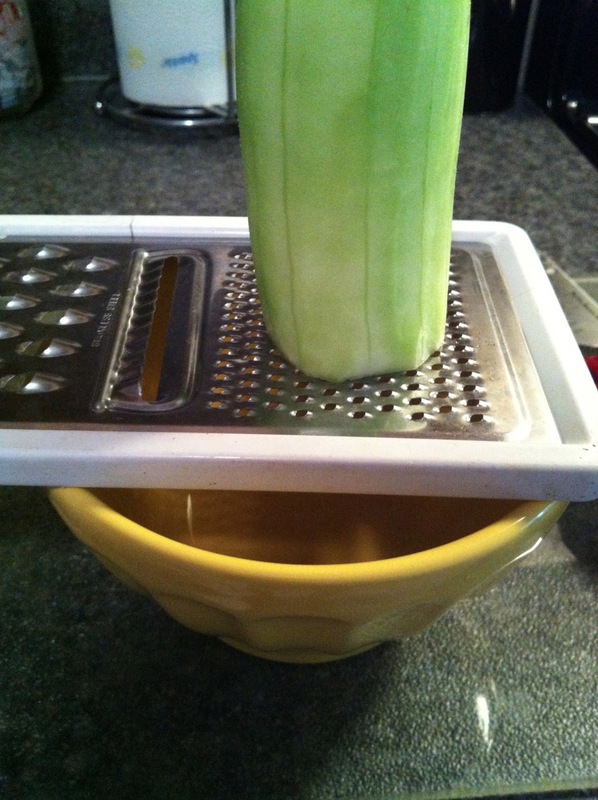 Next, grate the cucumber with a cheese grater, letting it fall into a bowl. Then comes the fascinating part (to me, at least). 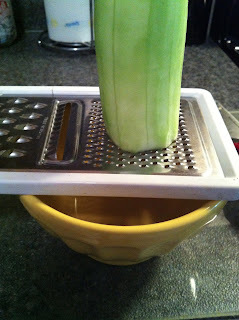 We have to get all of the water out... and you know cucumbers are mostly water, right? Crazy that that's half of a cucumber, right? Now add it back to the bowl, and combine with the rest of the ingredients: plain greek yogurt, a minced glove of garlic, some fresh chopped mint leaves, and a bit of dill. 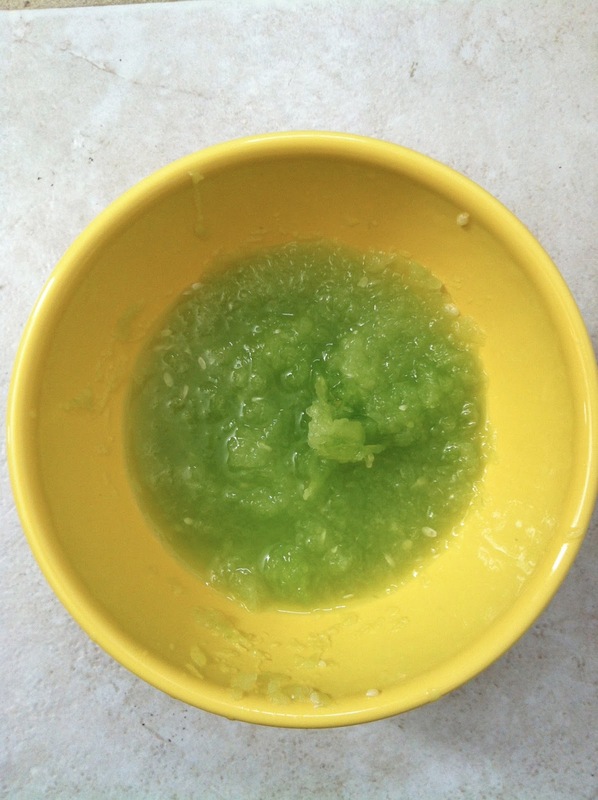 Then mix it up and store it in the fridge for at least a few hours, and ideally overnight. When you're ready to make the burgers, get your lamb. 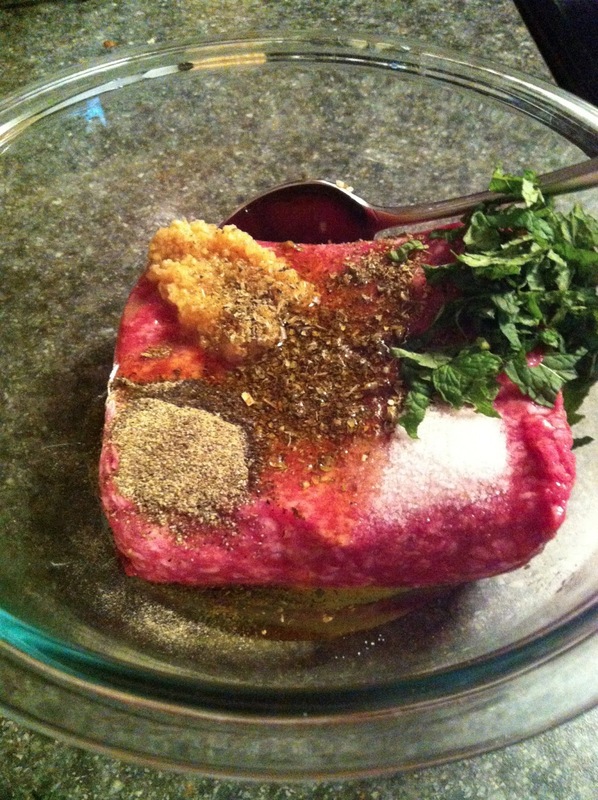 If you aren't able to find ground lamb in the meat section, you can always ask the butcher to grind some up for you. You need about a pound. In a bowl, combine the lamb with a few cloves of minced garlic, some fresh chopped mint leaves, a drizzle of olive oil, oregano, and salt and pepper. If you have time, refrigerate for an hour or so. When you're ready to grill, heat a grill pan (or an outdoor grill) to medium-high heat. Let get hot, then add the burgers. Cook until your preferred doneness - I do about 7 minutes on the first side, then 6 minutes on the second side for medium doneness. Meanwhile, gather your toppings: the prepared tzatziki, feta cheese, tomatoes, red onions, and whatever else sounds good. Sprouts would be a nice addition. Once the burgers are done, add to a plate. Let set for a couple of minutes, and tent with foil. Then lay out your toppings. 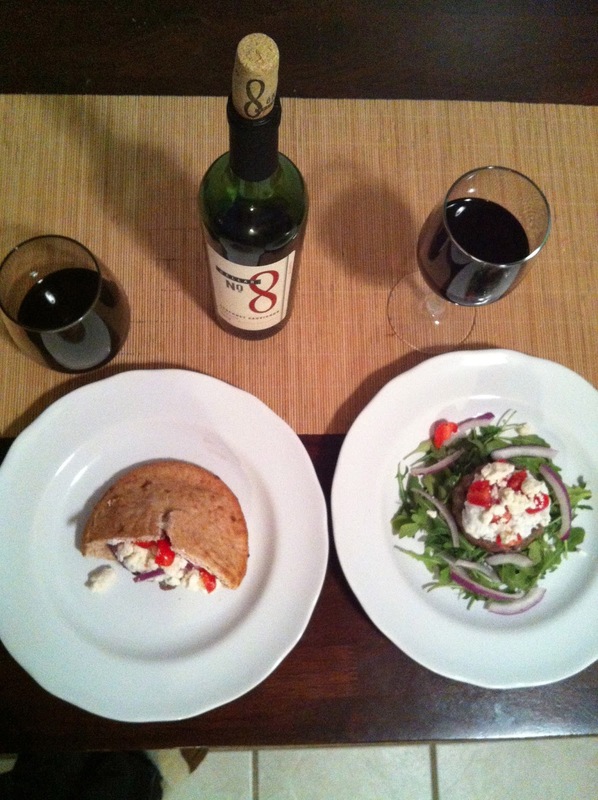 Prepare to serve either in whole grain pita pockets or on top of greens. Serve and eat as you wish! These are so good. Makes for a perfect Saturday night. 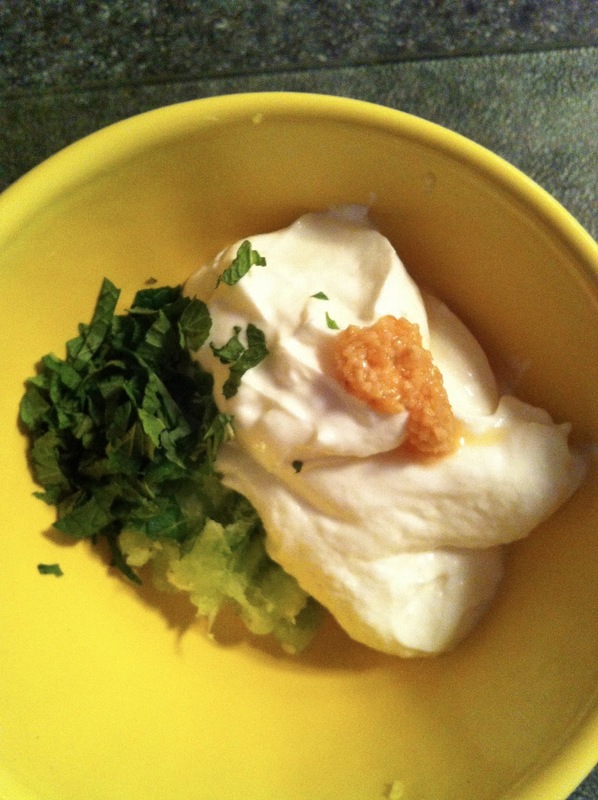 -For tzatziki: mix grated cucumber with greek yogurt, 1 tbsp mint leaves, 1 clove minced garlic, and dill. Refrigerate for at least 4 hours. 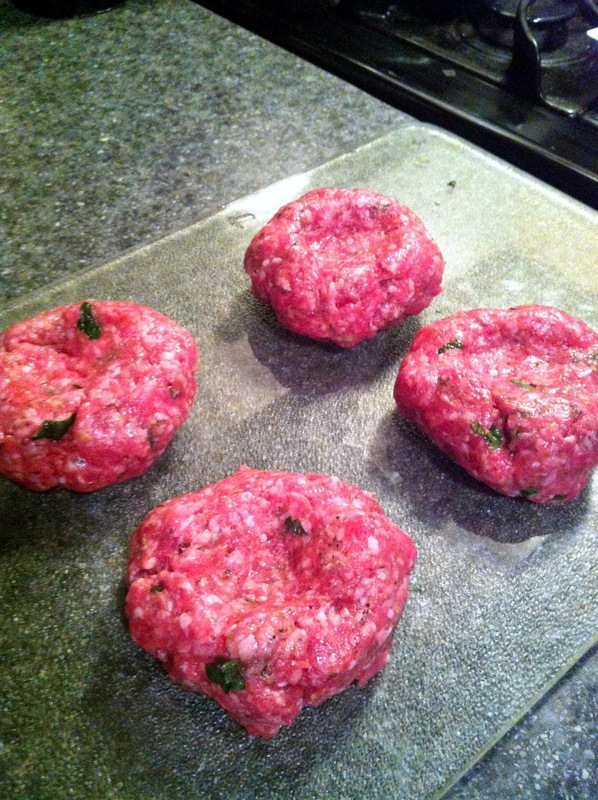 -For burgers: combine lamb, 4 cloves minced garlic, olive oil, salt and pepper, and oregano. Form into patties. Refrigerate for 30-60 minutes if possible. 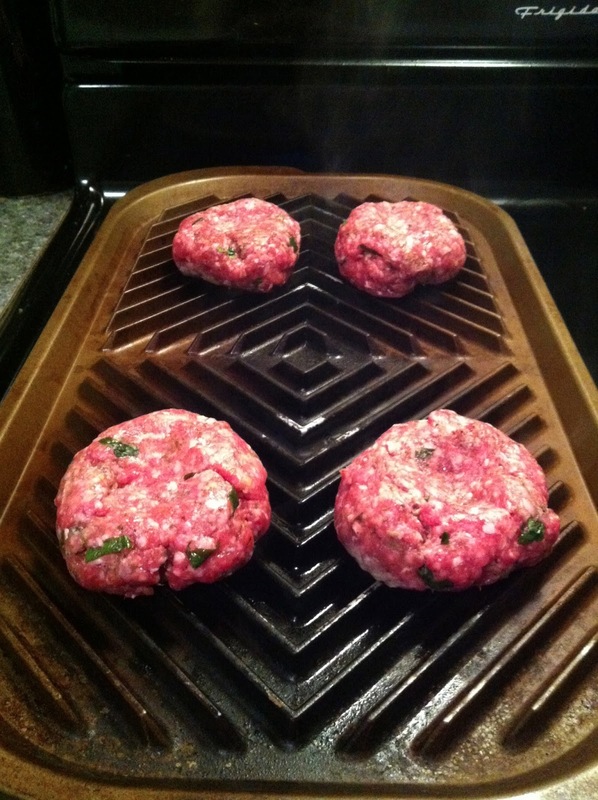 When ready, heat a grill pan or grill over medium high heat. Let get hot, then add burgers. Grill for 12-14 minutes over medium high heat, turning once, or until desired doneness. 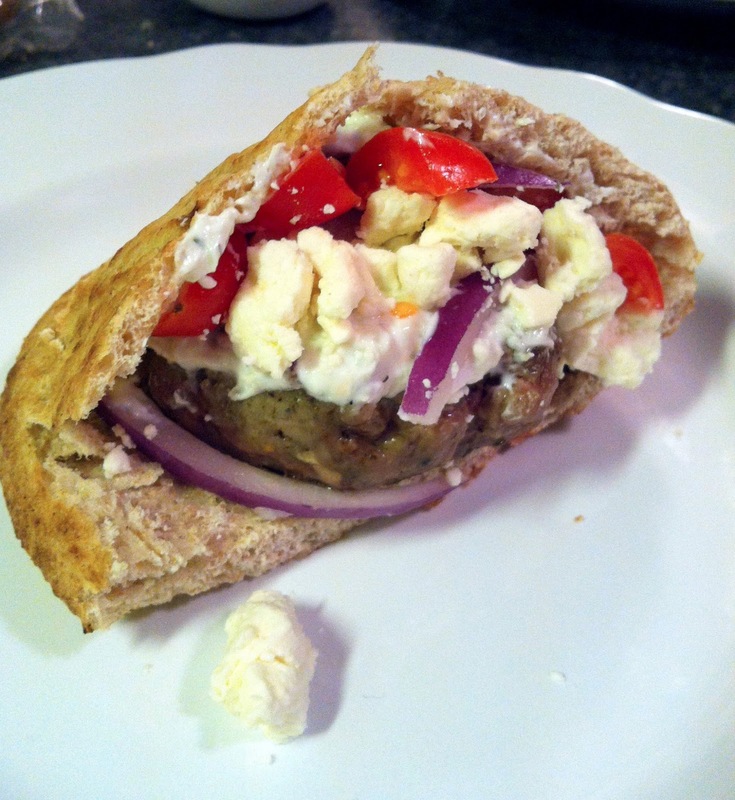 -Serve in a pita pocket or over greens with tzatziki, feta, tomatoes, and onion. okay, I'll admit it - I don't think I like lamb, but I've never really tried it. 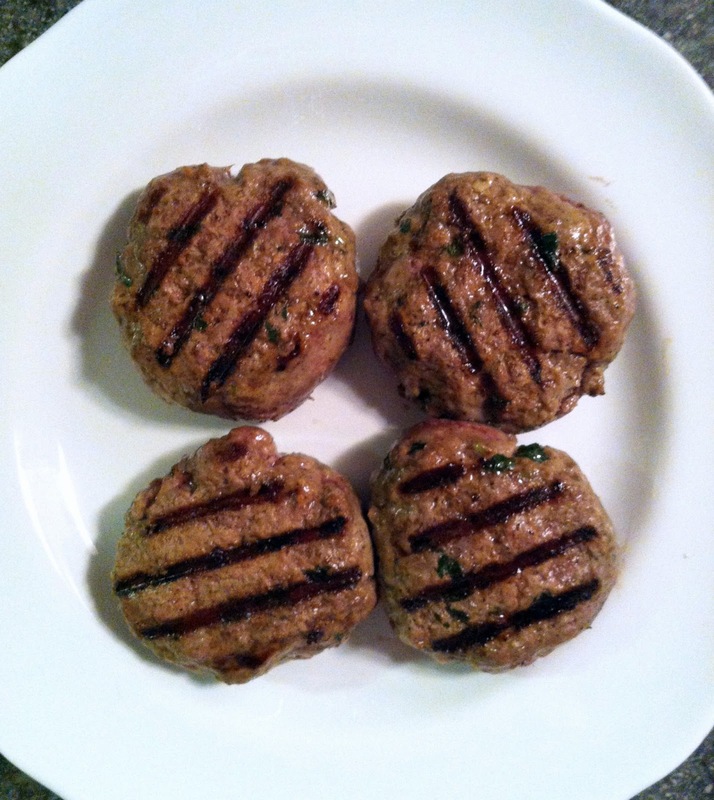 However, the way you RAVE about these lamb burgers make me think these are a good way to introduce myself to lamb. Plus, Shaun would be super impressed with me making lamb. I can't wait to try!! Taylor, lovely post. Thanks for linking it in to Food on Friday. 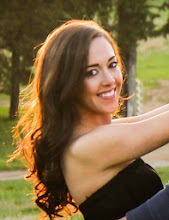 copyright © 2013 taylor made by taylor bee. all rights reserved. Powered by Blogger.